Designed to fit standard blade holders, premium disposable blades are ideal for all routine and specialty histology applications. Low-profile triple-facet blades feature an extra-sharp cutting edge for thinner sections that will cut down to 2µm, and a fluoropolymer resin coating to ensure a consistent cutting edge and increase blade life. High-profile coated blades are ideal for all routine and specialty histology applications. Sections as thin as 2µm are possible with these blades, and they also feature a fluoropolymer resin coating to ensure a consistent cutting edge and increase blade life. Thick high-profile blades eliminate chattering when sectioning hard specimens. This blade will not bend during cutting, eliminating the thick/thin sectioning problem often found when cutting hard tissue. These blades are ideal for sectioning bone, eyes, and other hard tissue. They are also an outstanding choice for industrial purposes and frozen sections. 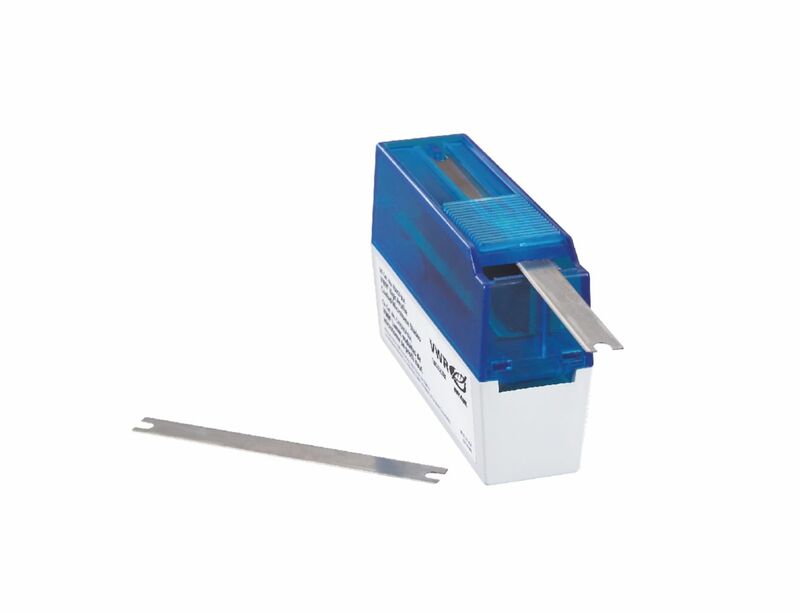 Ordering information: Blades are supplied in an ejector dispenser pack equipped with a storage compartment to safely discard spent blades.